The Fisheries Blog gets recognition from Fisheries Magazine! We at The Fisheries Blog were honored to be recognized with a mention and a link from The New York Times a few months back. Fast forward to an article in this month’s Fisheries Magazine (published by the American Fisheries Society), and we are once again honored to be recognized for taking a leading role in promoting fisheries research through social media (see second page of article). Be sure to join us at the American Fisheries Society annual meeting this September in Little Rock, Arkansas. We will be presenting about The Fisheries Blog as invited speakers, and will discuss the role we see social media playing in the future of fisheries research. 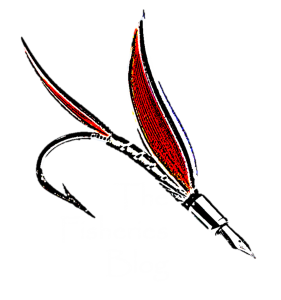 If you want to contribute a guest post to be hosted on The Fisheries Blog, send us an email and we can give you more details (thefisheriesblog@gmail.com).